Indie gaming has become a major force in the world of video games. These days, it isn’t uncommon for games developed by a few select individuals – or even a single individual – to produce some of the best games of any given year. Some of the best games from the last few years, such as Shovel Knight or Undertale, have come from the indie scene. With this newfound prominence, naming the best indie game of a year seems like one of the biggest accolades I can give. So without further ado, here is, what I think, is the best indie game to come out of 2016. Stardew Valley is one of those rare “peaceful” video games. It has a sense of serenity about it that only a few games I’ve played can claim. Taking inspiration from the likes of Harvest Moon and Animal Crossing (with just a dash of Minecraft and Terraria thrown in for good measure), Stardew Valley is a game all about living a good life on your farm. You get to know the townspeople, form relationships, and help lead your town to prosperity. It’s a simple game to pick up and play, but it quickly becomes apparent how complex and detailed it really is, with players having to work around the schedules of NPCs, pay attention to the weather and your characters exhaustion levels, and keep your loved ones happy. We certainly can’t forget that wonderful music, either. 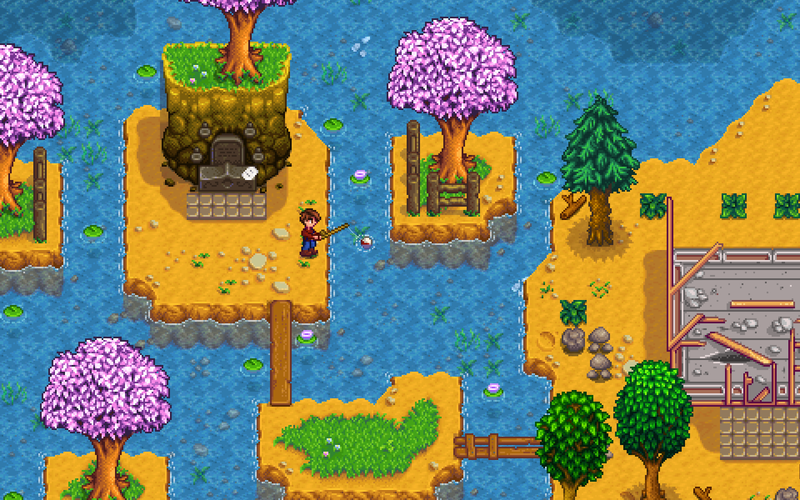 Stardew Valley has a memorable soundtrack that only adds to the game’s peaceful nature. Like Undertale before it, Stardew Valley was the product of a single developer, and a true testament to what an individual can achieve in the realm of game development. I played Hyper Light Drifter and Momodora Reverie Under the Moonlight myself, both were really good. Stardew Valley looks great for what it aims to do, but it’s not my sort of game.